I am aware that the Beatles had a hit with Help!, but not the associated details, without looking it up. You don’t need to know lots of codes to make progress. The ‘Autocomplete’ feature means you can just type a Company Name on the command line (top left of the screen) – Tesco PLC, for example (a UK supermarket group). 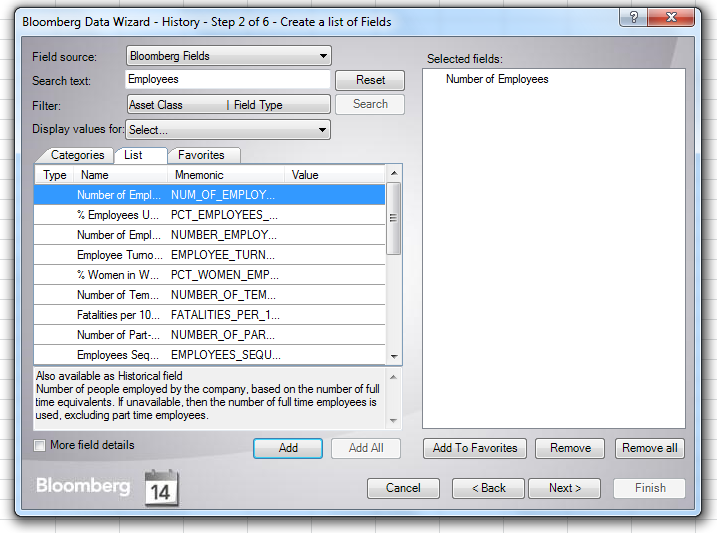 This provides a list of results under Functions (not relevant here) and under Securities (relevant here). 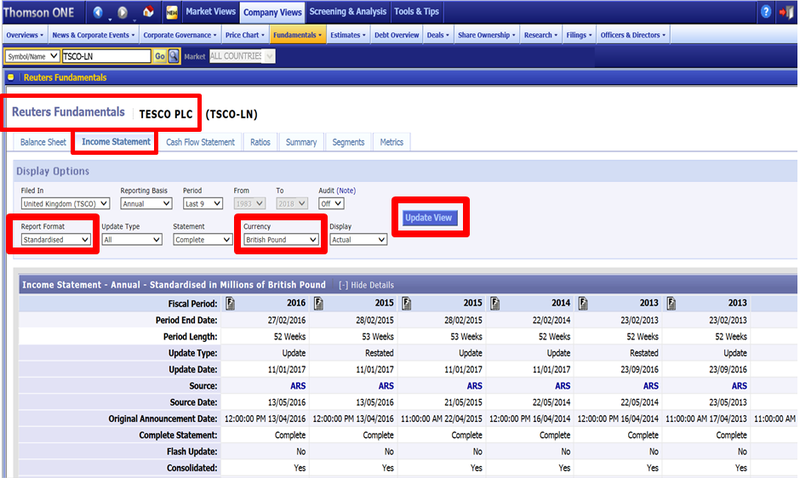 This also includes the Ticker Code [TSCO LN], which stands for Tesco on the London Stock Exchange. You don’t need to know this code, you can just click on the entry to proceed. Behind every function, there is a Help screen enabling you to be become familiar with what it does and how it works. 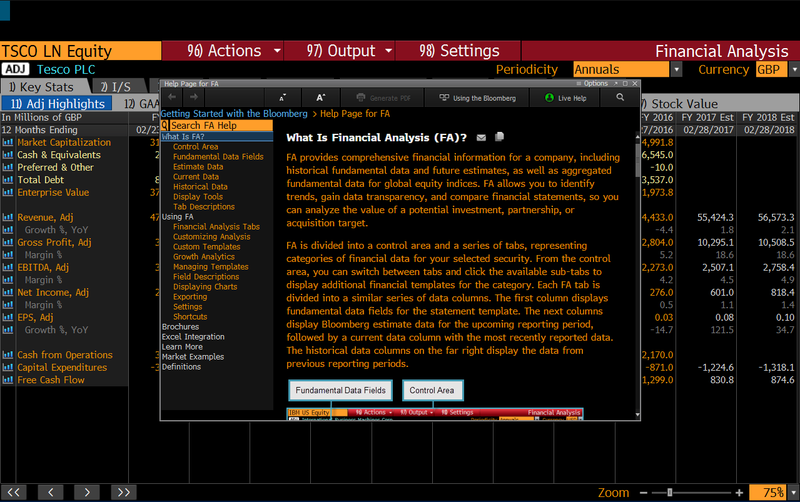 For example, the Help screen for the Financial Analysis [FA] function is shown below. 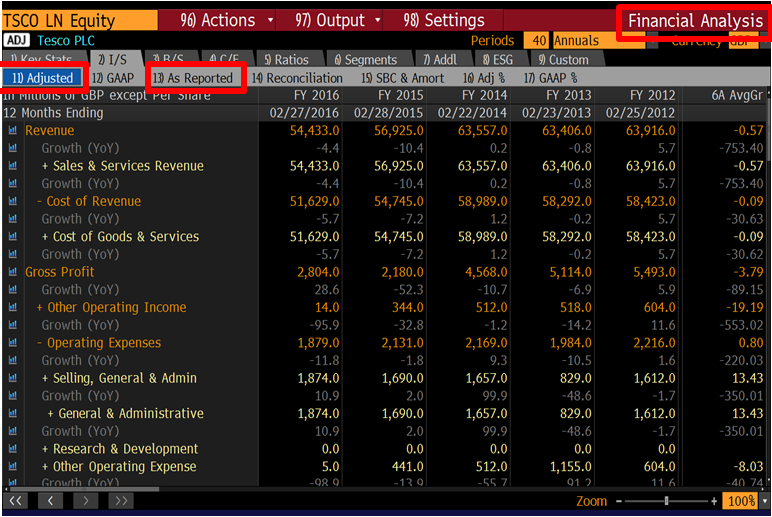 FA has the option to display financial statements (e.g. Income Statement) in a currency other than that in which the company reports its results. For Tesco PLC, that would be GBP, representing Great Britain Pounds. This could be changed to US Dollars (USD), to compare with another company based in the US. In a training session looking at Bloomberg, a student asked the question: ‘What is the basis for the currency conversion in the example you demonstrated?’. 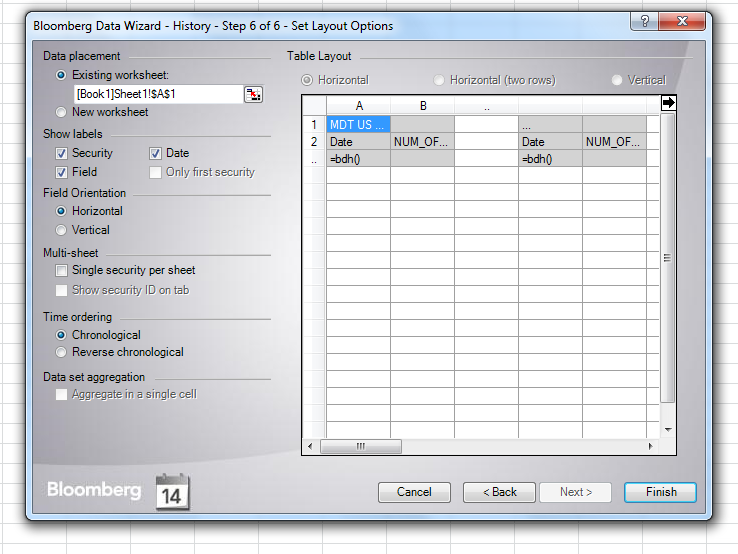 Not knowing the answer, my first step was to press the green Help key at the top left of the Bloomberg keyboard, to display the Help screen for this function. This did not provide an answer. Therefore, I tried another Help feature, which is incredibly effective – the search engine. By typing a few keywords on the command line and pressing the Help key, Bloomberg tries to understand the question being asked. In effect, it operates like a search engine. This typically provides about five answers, one of which is usually relevant – unlike a normal web-based search engine, delivering millions of results, but not necessarily what you are looking for. To obtain an answer, I typed: FA Currency Conversion and pressed the Help key. This produced three results, the second of which (shown above) provided a solution. Click on the title to display additional content. 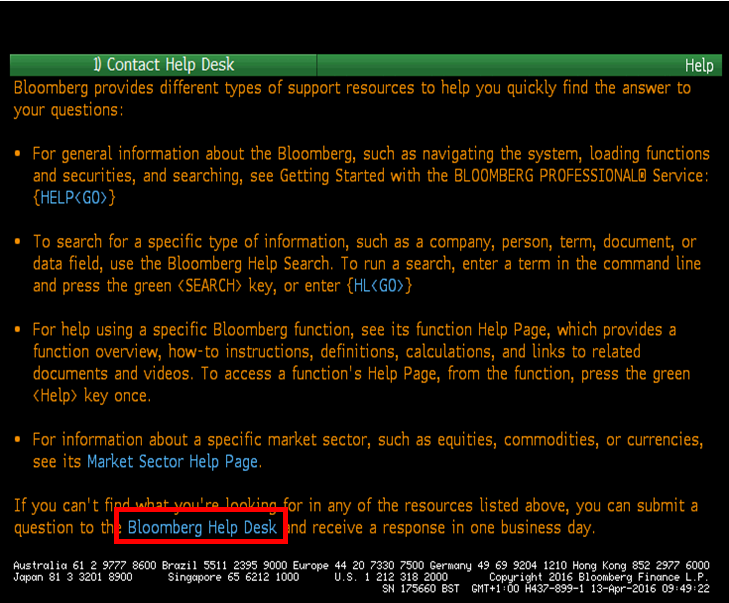 Where you have a question for which an answer has not been forthcoming, using the above Help features, the final option is to contact the Bloomberg Help Desk. To do so, press the Help key twice. Students will see the display below. 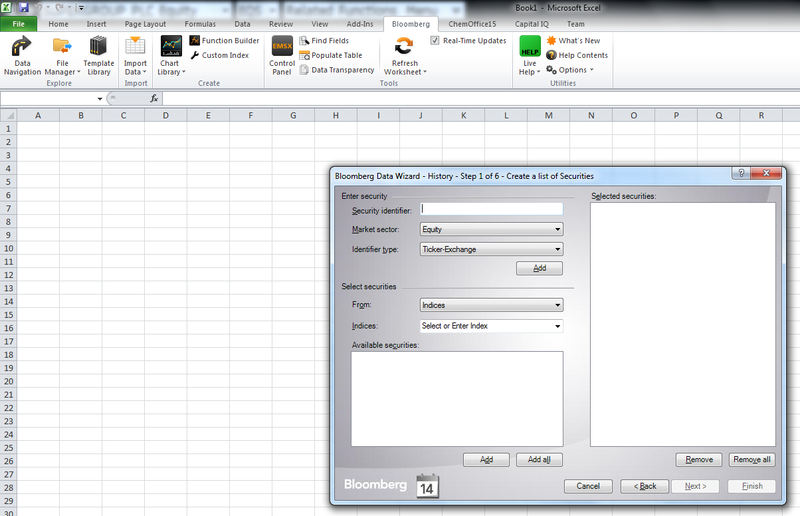 Click on ‘Bloomberg Help Desk’ at the bottom of the screen. Next, type your email address and question, then click ‘Submit’, for a response within 24 hours. 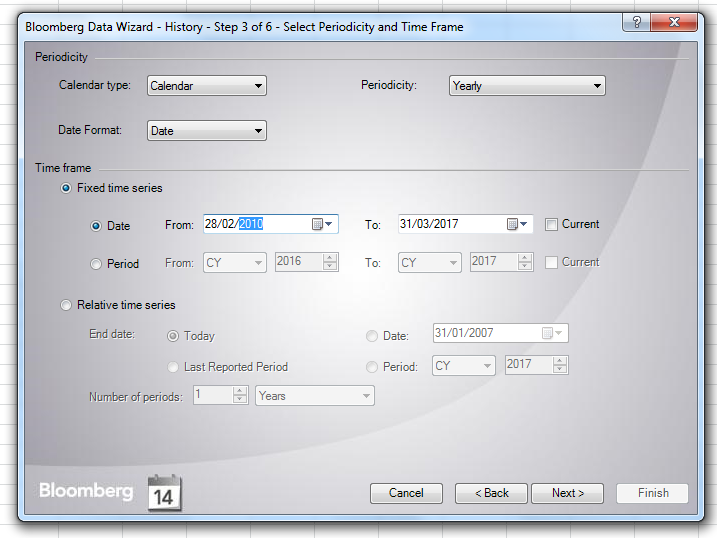 The Help system is a productive resource, saving you time, when looking up all things Bloomberg…financial data…economic data…appropriate functions for analysis.